Out-of-stocks is an age-old problem that continues to confound the consumer goods and retail industry. It translates to billions of dollars in lost sales each year, as well as being a drain on time and resources and dealing a blow to consumer brand loyalty. In the past month, we’ve seen retailers rolling out a variety of in-store innovations to try to address this issue, from drones to robots to iPads. But how do these measure up against traditional solutions, and how can brand manufacturers benefit? This post will recap the buzz around some of these recent hardware innovations, and how they compare against established software solutions. Hardware is making its way onto the scene in a big way in a couple of unique incarnations. 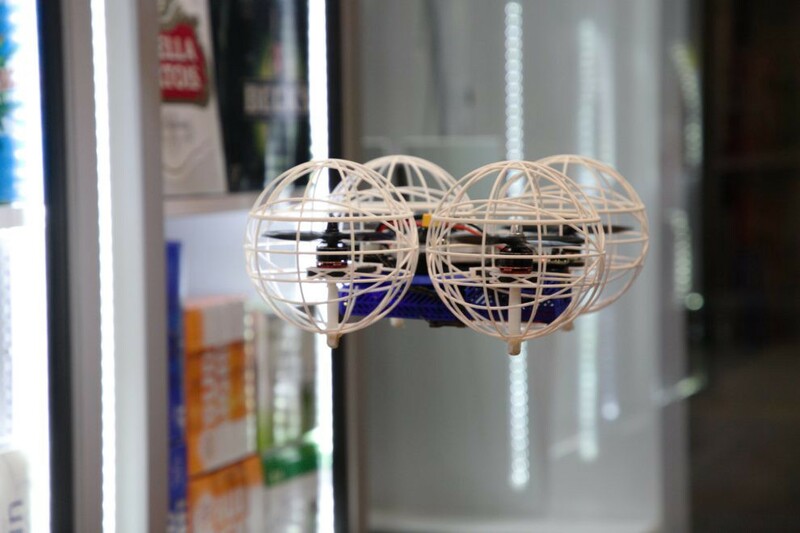 Pensa Systems has devised an AI-powered autonomous drone, which is designed to track in-store inventory via advanced computer vision. According to the company, the drones are capable of seeing and understanding shelf conditions in real time. These “remote eyes” report missing items to a system in the cloud where the data is analyzed. This information may trigger additional or larger orders to ensure on shelf availability, and also allows retailers to improve forecasts over time to avoid out-of-stocks. While Pensa Systems also touts the fact that the drones are small and safe — operating after hours or when there are relatively few customers — the technology is not totally reliable. Although the folks at ETF Trends like the concept of indoor drones, even they don’t believe they’re ready for prime time. They see the potential for use in the retail space at some point but as of today, they feel strongly that drones are not accurate enough to consistently avoid hitting objects — especially those of the human variety. What’s more, drones are powered by expensive batteries with short lifespans. You’re looking at having to change the batteries every three days, on average. Clearly, drones are not a cheap way to go. Another hardware option is robots, courtesy of Badger Technologies. 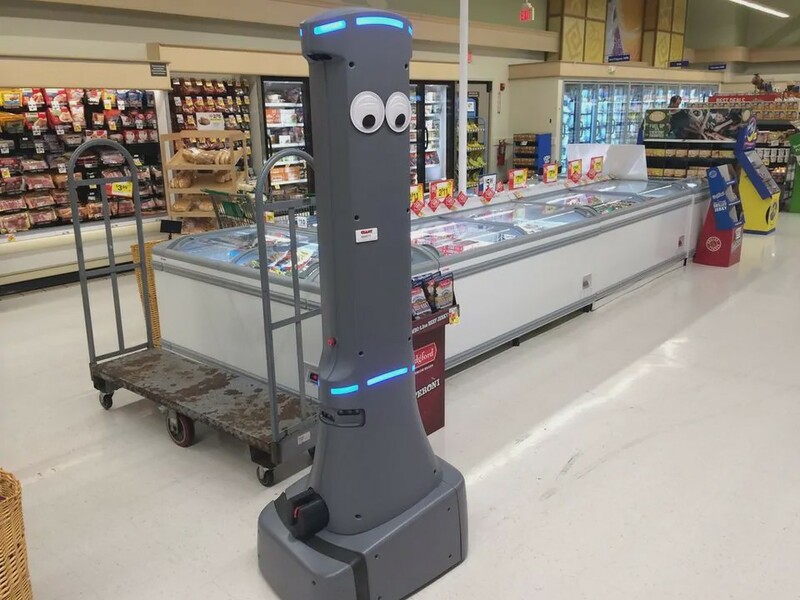 While initially created to cruise the aisles of retail outlets to spot hazards (spills, for one) to enhance safety, these automatons will soon be equipped with cameras designed for advanced detection capabilities, like scanning shelves to capture out-of-stocks. And while robots portend a bright future in this arena, you can’t pretend there aren’t drawbacks. The most notable, say the gurus at Online Sciences, is the costly combination of maintenance and repairs. Programming a robot is not a one and done proposition. Requirements change constantly and that translates to updating programs on a regular basis. Not surprisingly, exorbitant breakdowns are inevitable. Then there’s the very real chance of losing data along with code. There’s little doubt maintaining robots will eat up a considerable amount of time and money. These cool-looking technologies certainly capture headlines and attract companies seeking the latest and greatest. When it comes to evaluating them against established software solutions for analytics, forecasting, and planning though, there are a few significant differences. Number one, these drones and robots only identify out-of-stocks after the fact — after consumers have already been turned away. Even if an order is placed immediately, it will still take time for product to arrive from the DC or manufacturer, potentially leaving shelves empty for days. And of course, the assumption there is that an order is placed right away. Because these are new data sources, they are likely not yet integrated into existing systems and it will take time to learn how to effectively use the data. They are a reactive, not proactive, solution. Another differentiator is the level of investment required compared to the known return. Unlike a cloud-based SaaS solution that includes ongoing updates, with hardware there’s the up-front purchase cost and the ongoing maintenance and repair expenses. It’s an expensive risk for a solution that’s still unproven. As alluded to above, there’s also the cost of change management and updating existing systems and processes to work with the new technology. While there will be change management required for any new tool, our experience tells us it’s typically more difficult with hardware than software. Finally, and perhaps most importantly for brands, there’s the question of who gets access to the data and thus who holds the information advantage — retailers or consumer goods suppliers. The data from machines is being created in stores, so retailers will be the owners of it and have the choice of whether, and in what format, to share it with brands. Given the challenges consumer goods companies already face pulling, harmonizing and aggregating point-of-sale data from retailers, it’s no stretch to say it will be difficult to access and take advantage of this new data. In contrast, proven retail analytics and forecasting solutions, like Alloy, can help brands gain an information edge. By bringing together data from across all your sales channels, they provide unique insights for your business that get you closer to the end consumer. If the software has integrated forecasting and AI capabilities, it can also proactively identify when out-of-stocks are likely to happen, so product can be moved to store shelves before they are emptied out and sales are lost.